We actually have several new designers. I was privileged to work with some of new designer Two Cute Kids' kits. Instead of doing traditional layouts, in honor of her new store opening I made some page starters (page borders) with the kits she is opening the store with ... FREEBIES, yay! Preview of kit, then preview of page borders. Click the page borders previews to download them. 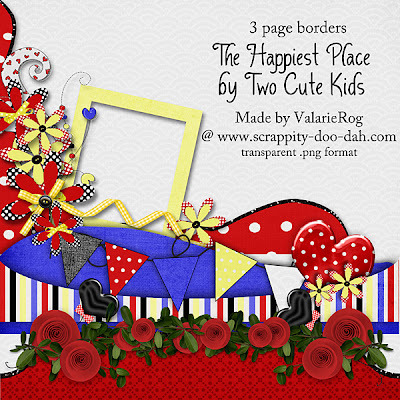 Click the kit preview to visit Two Cute Kids' store at Scrappity-doo-dah! Thank you so much for this post. 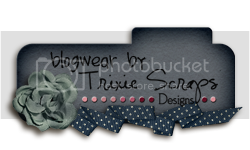 I want to let you know that I posted a link to your blog in CBH Digital Scrapbooking Freebies, under the Page 3 post on Aug. 15, 2011. Thanks again. Thank you so much for the borders! They're abso-bloomin-lootely gorgeous! Thank you so much for the cute borders. Love the borders - thank you so much!